More than two years after a federal court dismissed price-fixing lawsuits against Visa, MasterCard, Bank of America, JPMorgan Chase, and Wells Fargo, a federal appeals court has revived the cases that involve allegations that these banks and payment networks illegally and anticompetitively established fee levels for out-of-network ATM use. 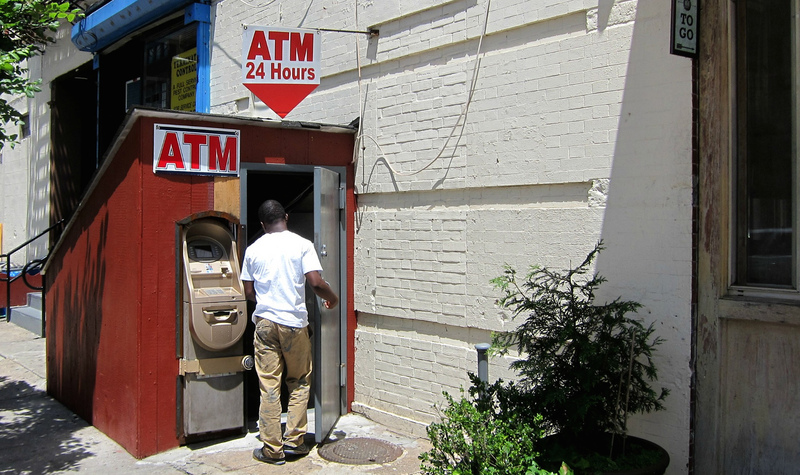 Non-bank ATM operators make money in two ways. The first we’re all familiar with: fees charged directly to the user. You want your money? That’ll be a few bucks on top of whatever you withdraw (and whatever your bank charges). That averages more than $2/transaction nationwide. The other revenue stream for independent ATM operators is the fee charged to the banks for each transaction. This can run upwards of $.60 each, but a good chunk of that doesn’t go to the ATM operator. Instead, it goes to whichever network connected the ATM to the particular bank. Visa and MasterCard run some of the most widely used networks, like Plus, Interlink, Cirrus, and Maestro. They also charge ATM operators the highest fees — up to $.50/transaction, according to court documents. That’s significantly more than the $.06-$.29/transaction fees charged by many smaller networks. Thus, ATM operators would have an incentive to push customers to use other payment networks, like Star, NYCE, or Credit Union 24. They could, for example, tell customers that if their card accesses one of those networks (which is usually indicated with a little logo on the front or back), that their ATM fee would be lower, say $1.75 instead of $2.00. But if ATM operators want to include access to any of the Visa or MasterCard networks, they have to agree to the condition that they won’t favor any other network in this way. The plaintiffs in the lawsuits contend that this requirement illegally restrains the efficient pricing of ATM services. The sort of anticompetitive practice alleged here is what’s known as “anti-steering,” in that it prevents merchants from directing consumers to an option that could save everyone money. Merchants recently won a court victory over similar requirements in the American Express merchant agreement, though the credit card company is appealing that decision. The appeal to the D.C. Circuit Court of Appeals consolidates three different complaints, all involving the Visa and MasterCard fees. Two of the complaints involved consumers who said they were forced to pay high ATM fees because of the anti-steering policies of these companies. The third lawsuit was filed by a trade group, the National ATM Council, and several individual ATM operators. In Feb. 2013, a U.S. District Court concluded that these complaints had failed to allege facts sufficient to establish standing or lacked adequate facts to establish violations of the Sherman Antitrust Act. The case seemed dead in the water after Dec. 2013, when the court ruled that the plaintiffs’ amended complaints still lacked sufficient facts to establish standing or a conspiracy. In dismissing the cases, the District Court had concluded that the plaintiffs had failed to show any real injury because of the current fee agreements. The plaintiffs theorized that the removal of the anti-steering requirement would result in lower-cost options for non-bank ATM users, but the court ruled that this was merely an “attenuated, speculative chain of events that relies on numerous independent actors,” and not evidence of measurable damage. In overturning the dismissals, the appeals court notes that the two plaintiff theories complement each other — that the consumer plaintiffs believe they could pay lower fees if there were more choices, while the ATM operator plaintiffs say they would direct consumers to lower-cost options if they were allowed to. The panel isn’t saying that the plaintiffs were right or that their theories are proof of damage, but that the court erred by putting too heavy a burden on the plaintiffs at too early a stage in the legal process, and that the worth of these theories are a matter that should be decided through a trial. The appeals court also found some merit in the plaintiffs’ antitrust allegations. Visa and MasterCard were each previously owned as joint ventures by groups of retail banks. The access fee rules in their ATM agreements date back to those days. And so the case has been remanded and given new life.